12 to view (strips of 12 perforated) Each pack has a total of 1500 single tickets. Our tickets have 125 strips of 12 that are split easily along the perforations to make 2 sets of 6 or 3 sets of 4 etc. 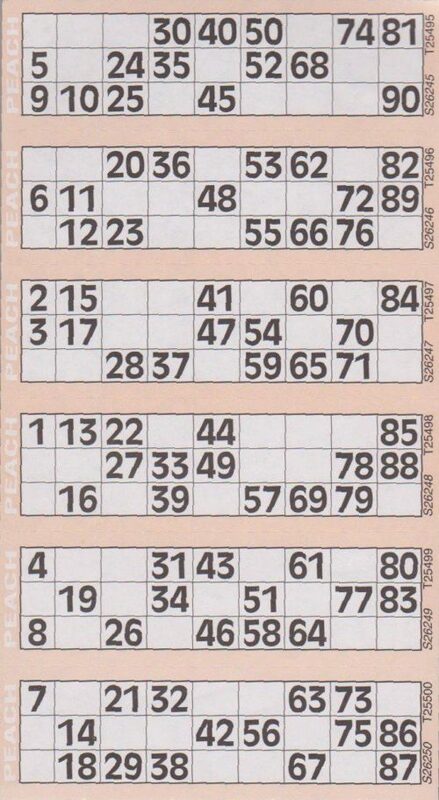 The tickets are manufactured by Jumbo bingo, one of the best manufacturers in the world and are used in may commercial bingo clubs across the UK.